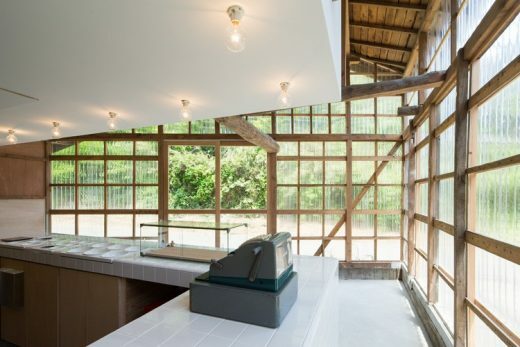 We renovated a former fishing gear warehouse in Miyagawa-cho, Miura-city, with a population of 1300, into a bagel shop. The project began with local residents’ concern about their future due to a decrease in population and tax revenues and they were looking for the possibility of utilizing vacant houses in the city. 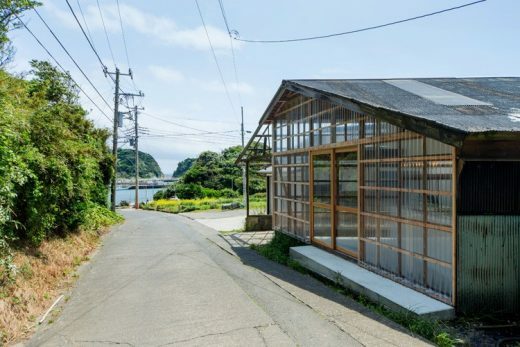 We came to think, “we can’t stop a population decline immediately, however, might be able to attract people to visit this area” and then we decided to use a vacant house in Miyagawa-cho which was a southernmost part of Miura Peninsula. 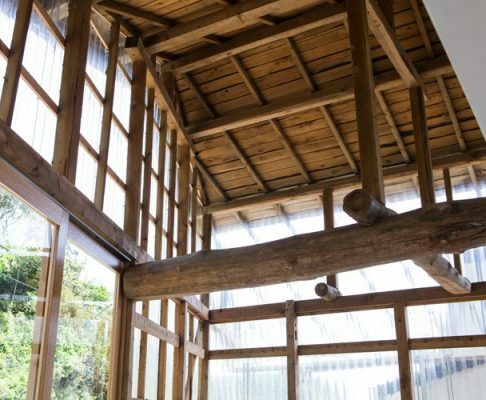 It is located in a valley overlooking a small bay, where it takes about one and a half hours away from Tokyo and an hour from Yokohama. While it is located in a place where even local residents don’t visit frequently, there is an old saltpan nearby and also a pleasant place to be felt familiar with the song of birds and the sound of wave. 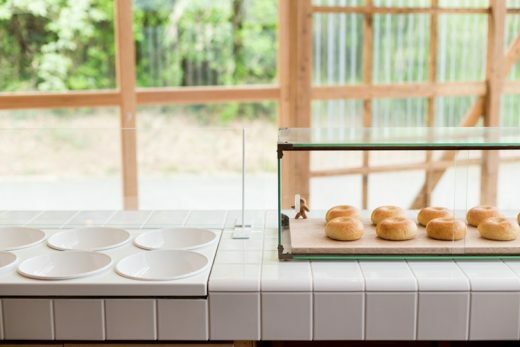 After thinking how we can attract people into this small town, we decided to open a shop where we sell bagels using locally grown wheat and cream cheese kneading locally grown vegetables. 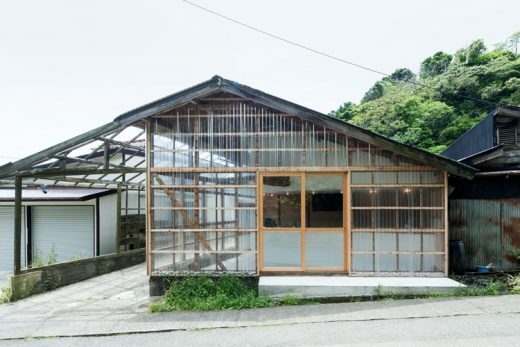 Original exterior walls were replaced with the corrugated plate of clear polycarbonate. This design allows people to see inside of the shop even in less crowded road. The interior design proposed to a new feeling of nostalgia, applied to a whole counter with lauan, which was a similar material to the existing one, and with white tiles (100mm x 100mm), which has been commonly used since long time ago. 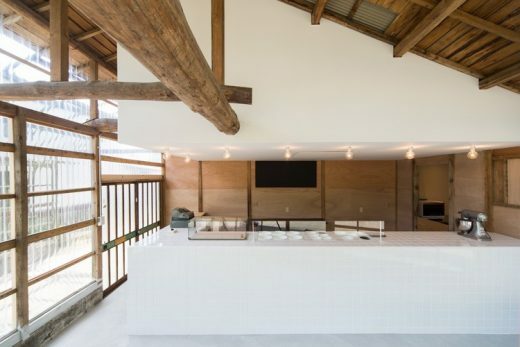 Our concept was aimed at bringing surrounding green environment into the inside of the shop, opening to the outside and providing the information of local foods. We expected the inflow of people even from Tokyo, such as a little away from the area as weekend activities. In addition, we believed that we could revitalize the local community, leading them to think the possibility of starting something by themselves, if we opened a shop at an unfavorable location as seen from the local people and received any response to it. 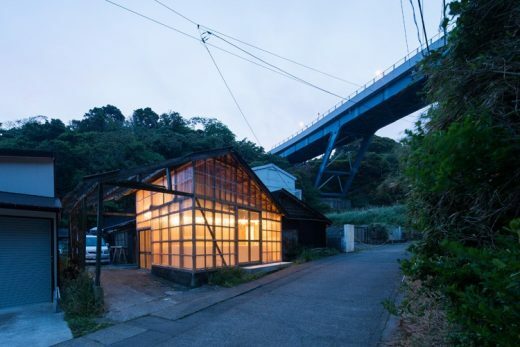 photo : Koji Fujii / Nacasa&Partners Inc.